Giveaway Winner & Get Ready! Thanks so much for all of your kind words, comments and project inspiration! Our winner is Nikki who said "I would love to knit myself a sweater for myself in this color, maybe with charcoal or dark purple stripes! 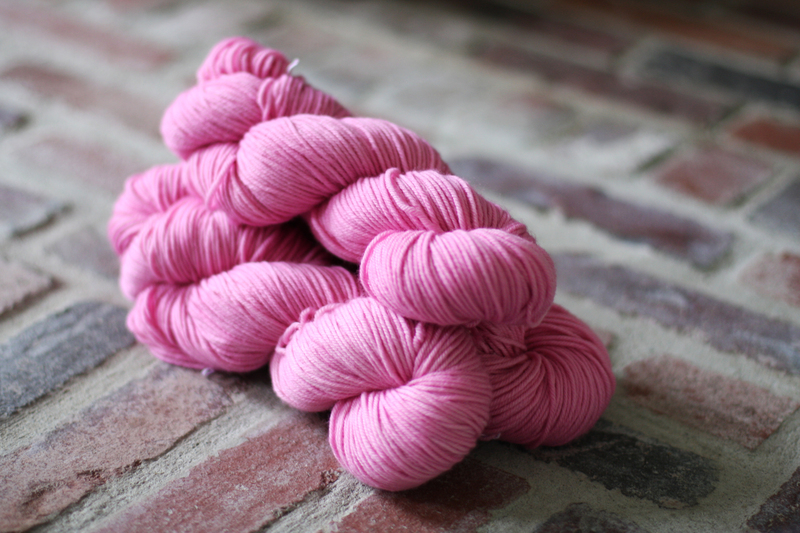 Thank you for the giveaway :)" Congratulations Nikki, these pretty little pink skeins now belong to you! Send us an email at niceandknit[at]gmail.com with your address info and we'll get them in the mail to you! Knit Along will be announced Monday! Start searching and adding favorites on Ravelry! Exciting! I do love a knit along. Can’t wait to see what it is. I love love love this color! I would love to knit a beautiful throw for one if my nieces!! Yay! So excited for another Nice and Knitalong!